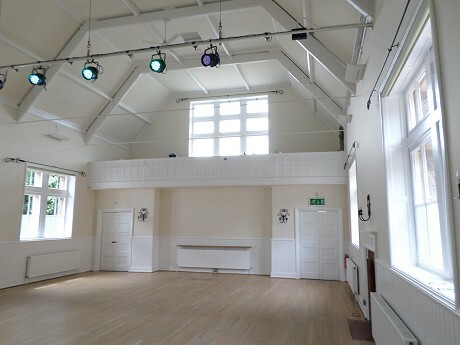 The village hall is used extensively for events and meetings throughout the year. 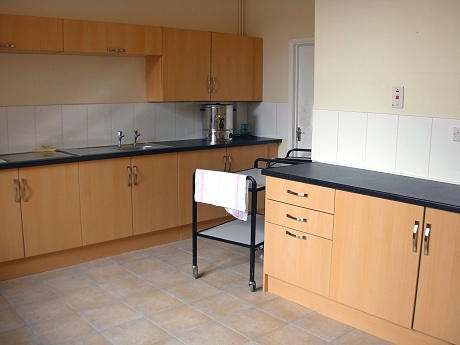 It has a large open meeting area with balcony, a stage, kitchen, utilities and services. 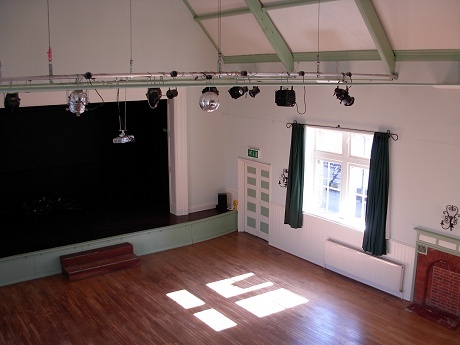 View the Quorn Village Hall on-line bookings calendar. 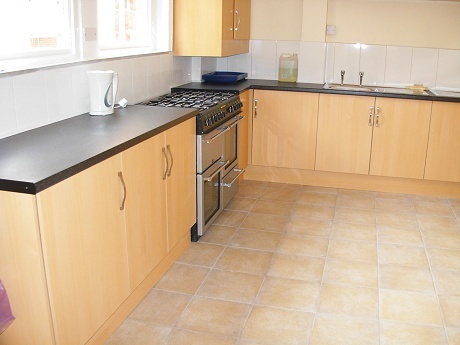 * Deposit is returnable provided the Hall is left in a satisfactory condition. Please note - it's always important to talk to the Quorn Parish Council Admin Assistant before completing booking forms or making payment. 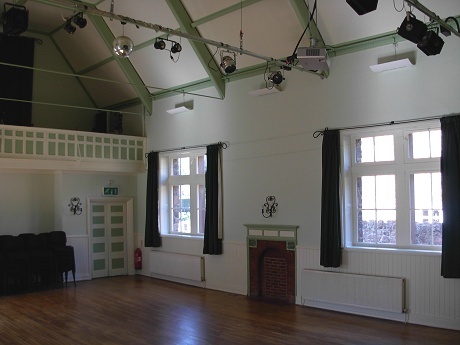 Conditions relating to booking the Village Hall - download PDF. Please complete our booking form - download PDF. 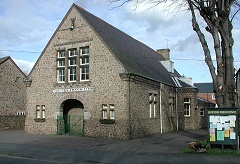 There is car parking to the rear of the building, accessed to the right of the hall. 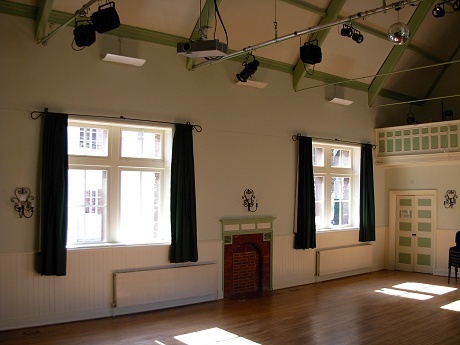 If you are unable to book Quorn Village Hall, you might wish to look at Quorn Old School as an altenative - see Quorn Old School. If your event is open to the public, you can promote it on the Quorn Village What's On listing which appears on this website. It's an excellent way to get your public event publicised. Add your event here. View dimensions and layout of the hall - download PDF. 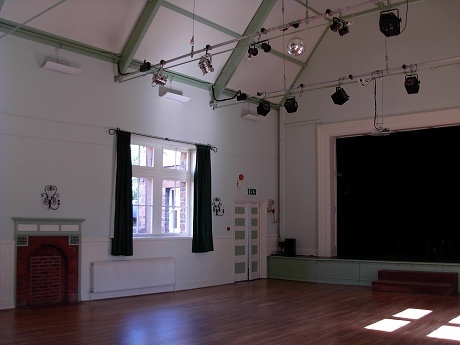 The photographs below show the interior of Quorn Village Hall. 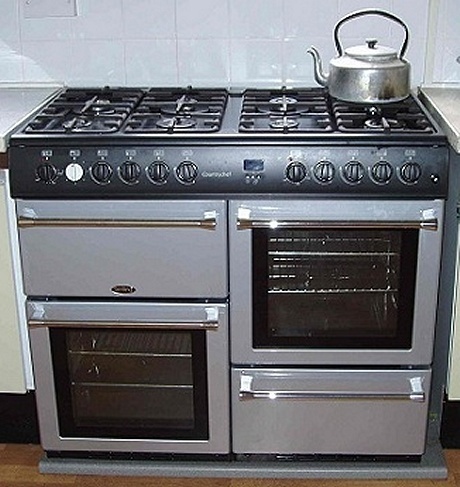 Large panoramic image available - view image in new window.